Cities across the state of Missouri are focused on building community through health and fitness, thanks in part to the Missouri Foundation for Health. Communities are coming together to achieve their fitness goals, often utilizing public space for their workouts, and PEM Fitness Park Matting provides the perfect surface for these outdoor recreational facilities. Less than an hour from PEM’s headquarters, the Missouri Baptist Hospital, in Sullivan, Missouri, recently installed PEM Fitness Park Matting at their newly renovated fitness track. 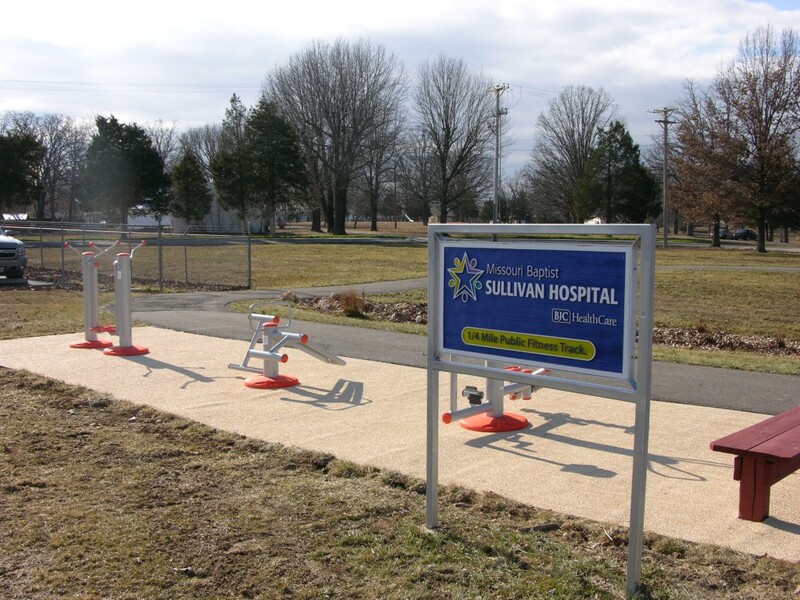 Updates to the public facilities were funded through a grant from the Missouri Foundation for Health to implement a Healthy & Active Communities program. The goal of the program is to improve overall community health by increasing opportunities for physical activity. In total, twenty-eight Missouri nonprofits have received more than $5 million in grants awarded by the Foundation. The surface installed at Missouri Baptist Hospital is a combination of our poly-green foam subsurface topped with the durable PEM Fitness Park Matting. The resulting combination is soft, slip-resistant and safe. Thanks to the mat’s flow-through design, residents will have a dry fitness surface, even after heavy rain. No one likes working out in sloshy conditions! 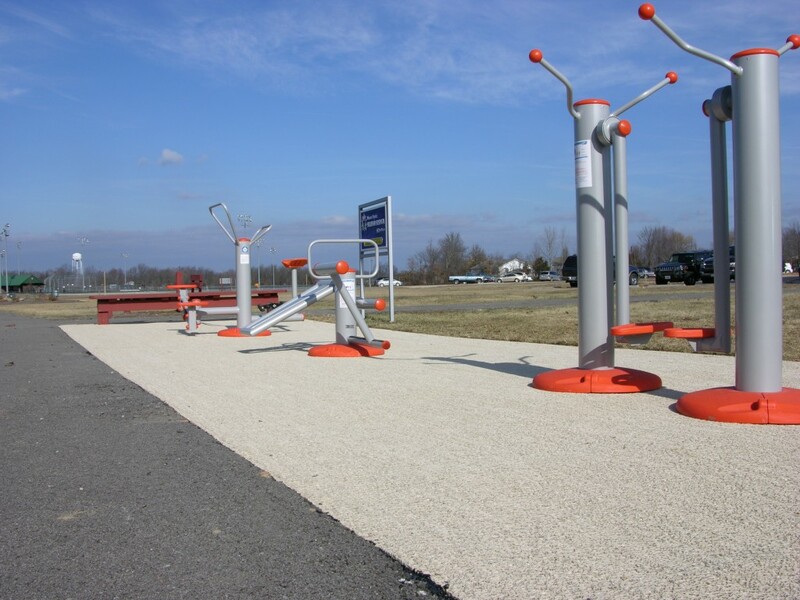 PEM Fitness Park Matting is the perfect solution for outdoor, all-weather environments. As the residents of Sullivan will attest, the area is home to cold, wet winters and hot, humid summers. 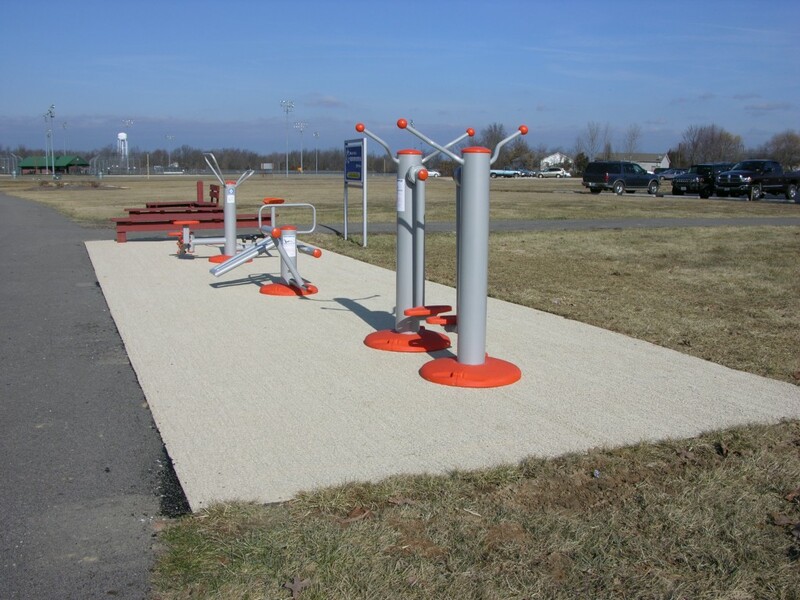 PEM Fitness Park Matting offers superior weatherability, even in the toughest conditions. Our matting will not lose its resilient qualities due to extreme ranges in temperature, weather or ultraviolet exposure, making it the ideal solution for outdoor surfaces. If you’re in the area, or passing through, stop by Missouri Baptist Hospital’s Public Fitness Track to see PEM Fitness Park Matting in action. We’d love to see some shots of you trying it out!